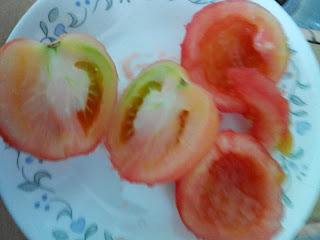 Boil water in a small pot, and make a shallow 'X' cut at the bottom of the tomato. 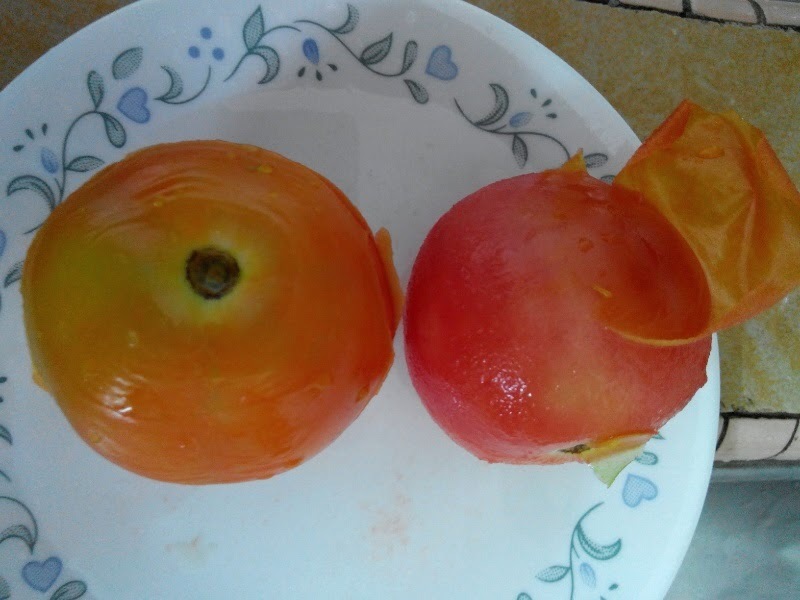 Put the tomato in the pot of boiling water for about 2-3 mins and take out. Rinse under cold water and peel the skin.